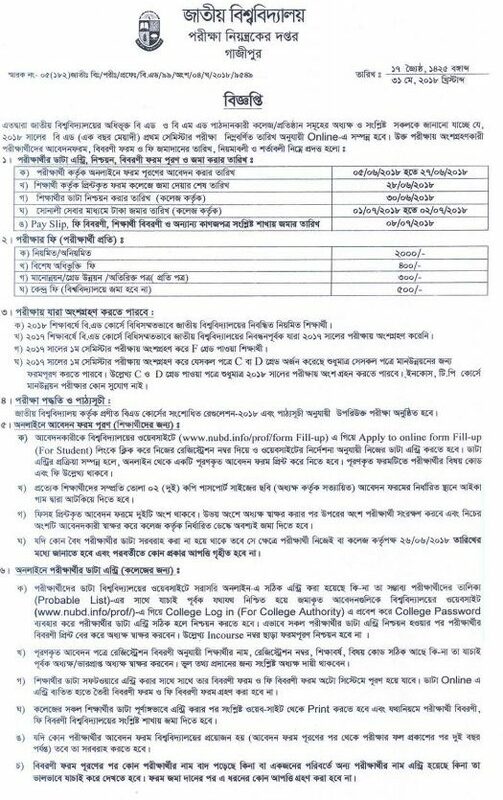 The National University Of Bangladesh Bed 1st Semester Form Fill-up Notice. 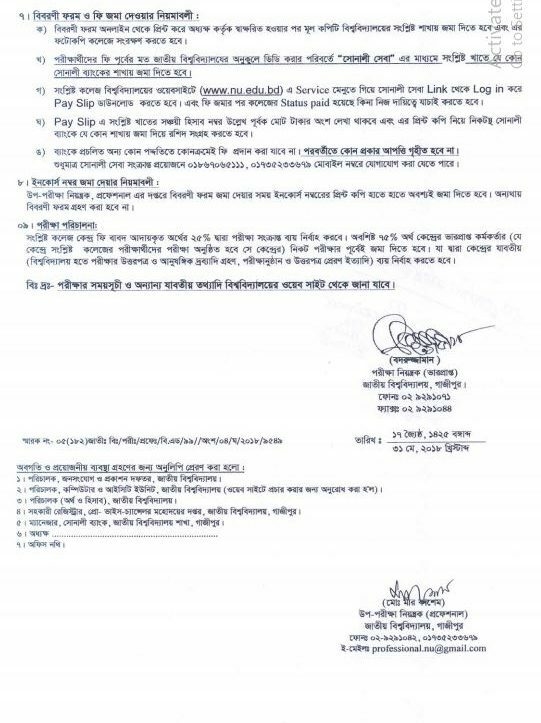 The NU Authority of Bangladesh Has Published Time Table of Bed Form Fill Up for The Student of the 1st year. This Notice Only for the 1-year course. See The Vailide Noice Below. Sir,Ami Formfilum puron korta pari nai….27Tharikh last date chilo ami ki ekhn formfilup korta parbo,,,,,sir plz help me?